All the information that is shared in the written word delivers a message. But sometimes this message does not make it. Among some of the most important reasons that can prevent the message from being delivered in the original way are related to grammar and structure of the text. To solve these matters, it is recommended to use professional proofreading services to check and edit such texts. But, what exactly is proofreading? It is the review of text by someone who has advanced training and knowledge in grammar, vocabulary, punctuation and spelling. When these rules are in place, messages can be understood as they are meant to be. The best way to guarantee proofreading work is by hiring professional proofreading services. Although we all have knowledge in grammar, most of the time, this skill has not been developed enough to verify the correctness of the text. You may have a deep knowledge of the subject you are writing about, but it does not necessarily mean you have full knowledge of grammar. Proofreading is the final checking of a document or a book after an editor has done their work. Proofreading involves checking a document for errors. The proofreader highlights all sorts of errors, and corrects the translation or the document to be proofread. Professional proofreaders have developed their skills at high level and they can review a lot of text and find all the mistakes and omissions. When is the best moment to proofread a text? Although it can be done partially as the writing advance, it is recommended to do it after the whole text or document is complete. It allows proofreaders to have a full context to consider and organize all the grammar accordingly. What Universal Translation Services can do for you? We are working with over 3,000 professional linguists and we have resources for any language. You can rest assured that a qualified linguist, native of your target language, is going to proofread your document, spotting and correcting all errors. The document sent back to you will have track changes enabled so you’ll know what has been corrected and if the linguist had comments. The correctness of a text depends entirely on the linguist proofreading it. A linguist specialized in the medical field would be able to proofread any medical document, but may have a hard time working on a legal or a technical document, for instance. That is why we assign linguists based on their native language, background and knowledge in the field. General documents could be easier to proofread, while proofreading a highly specialized text would take more time and efforts from the linguist working on the document. Despite that, we charge the same rate per word no matter the language of the document or its field. We do not have any extra rates for jobs that need to be completed in a hurry or during the weekend. Before you start seeking you must understand what you need. There are several types of written texts for different purposes. They can be academic papers, essays, magazine articles, blogs, books, business documents, just to name a few. With this clear, it will be easier to target the right service. There is a wide range of proofreading services available and now many professionals offer their services on the internet as freelancers. 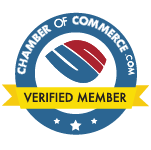 If you prefer a translation company, make sure it is a legitimate business with a verified payment system. When you receive a quote, review it carefully to understand what your rights in the case of a disagreement would be. Check the references and opinions from previous customers about quality and results. If you go for freelancers, ask for some references as well, and find them through known web sites that offer some level of guarantee. In any case, it is also advisable to find professionals who are native in the language you want proofread. If you have a limited budget, make sure you find the best service available and allow them to take more time to complete the task and keep the high-quality of the review. If you are concerned about quality, it would be better to choose professional proofreading services provided by a well-known translation agency. These companies control the quality of their professionals and provide better conditions, such as 24/7 attention, quick turnaround time and guarantee of the work. Sometimes people ask: Why is a separate proofreading step required at all? Do the agency’s translators do their job so badly that the result of their work has to be checked? It is one of the very important stages of translation and can be the difference between good work and great work. Proofreading by another professional enhances the overall quality of a translation. 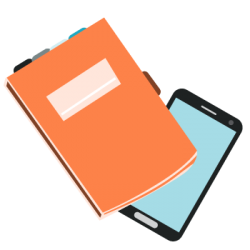 Including a revision stage in the translation process improves the value of the translation even more. To make sure the document makes sense. To check for all types of errors. To verify and accredit the sources used in the document. 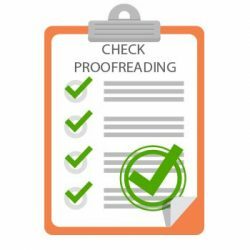 The main objective of an expert proofreader is to make sure that the document must be clear, error-free, logically accurate, and have a suitable layout so that it will be understood by all who read it. If the point of writing is to express thoughts and information, then the document itself must be clearly and appropriately written. Professional proofreaders ensure that all documents on which they work are just that. Proofreading is a profession that is as vital as translating a document into the business world. 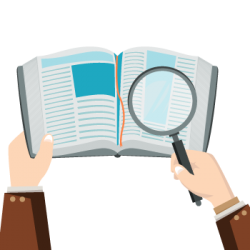 Accuracy in document translation is necessary because of the change in grammar, vocabulary, and context that could occur in the transition from one language to another. For this reason, professional proofreaders are present to save you from the trouble. These proofreaders are experienced individuals having command over the vocabulary, grammar, punctuation, and spelling comprising the language that you requested because we only hire native speakers for the respective tasks. Over 3,000 native linguists are having the productive resources and are experienced enough to proofread your documents in any language that you request for. 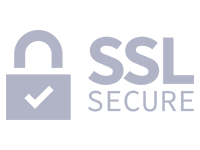 You can be assured regarding the fact that the proofreader will have more than enough qualification to correct any sort of error in your document. Our linguists are subjected to their particular area of expertise according to their background and qualification so that maximum amount of precision can be attained. If it is a medical document that you wish to be translated, we will choose a professional proofreader with a medical background for its verification. We have the resources to proofread any document in any language and you will be provided with the track changes availing you with the chance to see for yourself, the changes and the comments the linguist provided. 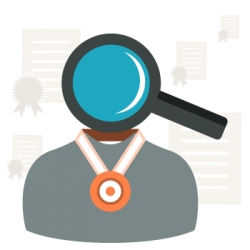 Large documents having complicated content may be higher in price due to the requirement of a highly qualified native proofreader, but we do not charge you with any rush rates or hidden charges. You will find that we charge the same fees for every type of document, in any language, and our prices are the lowest in the market. 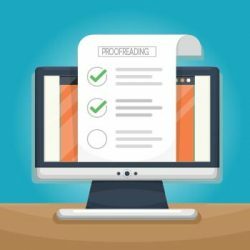 Who can hire proofreading professional services? Universal Translation Services is available to anyone who wants text review. In the past, proofreading was done only by publishing companies, however, as opportunities to write and publish became available for many people through the internet, it is common that new independent writers use these services. Also, students and researchers need to deliver academic papers that require the best quality and presentation. Just like translation services, the need for professional proofreading services has also increased and writers have a wider range to choose from. The best way to corroborate if your document was properly proofread, is to verify how well your message is delivered. If you are planning to proofread your papers and documents more frequently, you should pay attention to this effect. It is not uncommon for people to confuse proofreading with copy-editing. If you are unsure about which service you require, contact us with a sample of your document and we will be happy to advise you.